I love getting my nails pampered in a nail salon. It's one of the things I really look forward to. But as much as I would like to have my nails done regularly, a trip to the salon can sometimes be a hassle. This drove me to pay extra attention to my nails, particularly on how to keep my cuticles healthy so I could minimize nail salon visits. 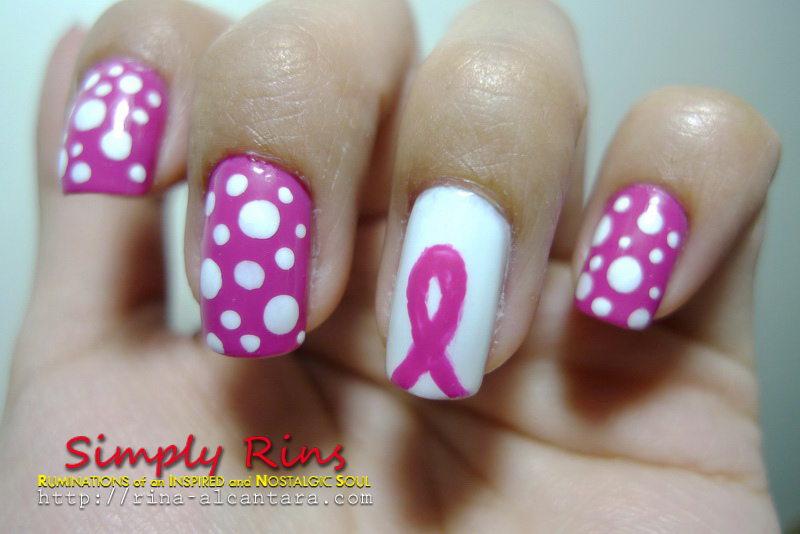 We should remember that the way to healthy nails is through the cuticles, the so-called nail protector. When you look back when I was starting as a nail art blogger, I had very dry cuticles and the same goes with the skin around my nails. I even received a few negative comments saying my designs were good but I had ugly hands. In truth, I was hurt. But I also know that presentation counts. As a nail art blogger, I realized there's more to just sharing nail designs. I (we) am presenting my hand, not just my nails. My hand and nail care regimen is simple -- no cutting of cuticles and moisturize. I am a consistent user of hand creams, cuticle creams, and cuticle oil. 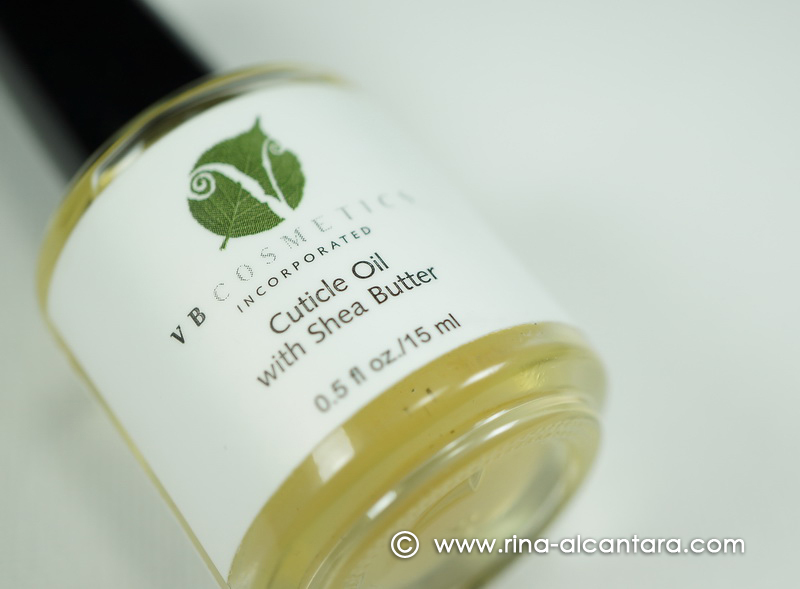 And today, I'll be sharing with you that cuticle oil that works for me -- VB Cosmetics Cuticle Oil with Shea Butter. This product promotes excellent nail care as it contains botanical oils of grape seed, avocado and canola, shea butter and essential oils of lavender and orange. I'd like to emphasize the presence of shea butter because this is the ingredient responsible for moisturizing. And you'll know that the VB Cosmetics Cuticle Oil has it as its main ingredient due to the yellow tint of the oil. The photo above was taken after I removed my Colored Stripes Nail Art. No buffing, no anything, just filing of the free edge. And I didn't use any cuticle treatment for 5 days for purposes of this review. Notice that my cuticle is beginning to dry and I'm starting to develop hangnails on the sides. My dry cuticles. Photo was taken October 2010. 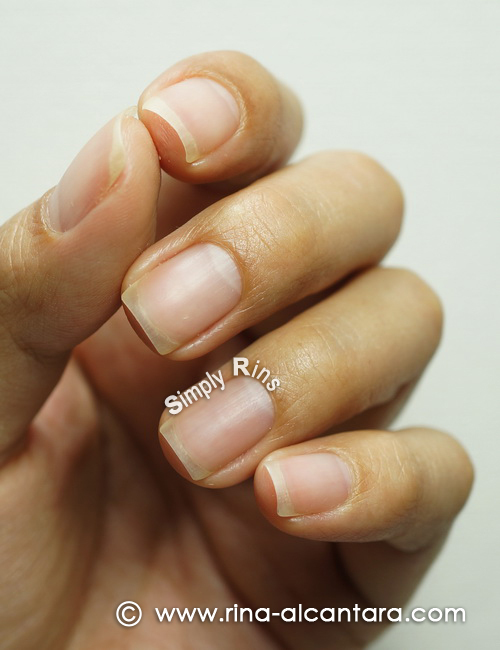 First, brush a good amount of the cuticle oil around your nails. Second, massage the oil to distribute it all over the nails and the cuticle area. I apply cuticle oil at least once a day on my fingers and toes. I prefer to use it before sleeping at night. I also use it after cleaning my nails or whenever I give myself a manicure. Non-greasy. This is probably one of the major concerns of choosing a cuticle oil. Nobody likes that feeling of greasiness. Applies easily. Since it comes in a polish bottle, application is not a problem even when you do your toes. Mildly scented. In my opinion, the lavender extract dominates the scent of the VB Cosmetics Cuticle Oil and I am not complaining at all! Not only do I like how it smells, the scent is not overpowering. Vegan. Its made purely of botanical oils and extracts! Long-lasting effects. With continuous use, my cuticles are now easier to push and the skin surrounding my nails looks healthier and feels smoother. I have also minimized the appearance of hangnails! Not so portable. I hope it comes with a much portable container so I could tag it along with me wherever I go. If you are a frequent hand washer like myself, having a cuticle oil with you at all times is important. Likewise for people who use hand sanitizers regularly. Remember that alcohol promotes dryness. Our nails deserve tender loving care, too. Healthy cuticles means healthy nails! 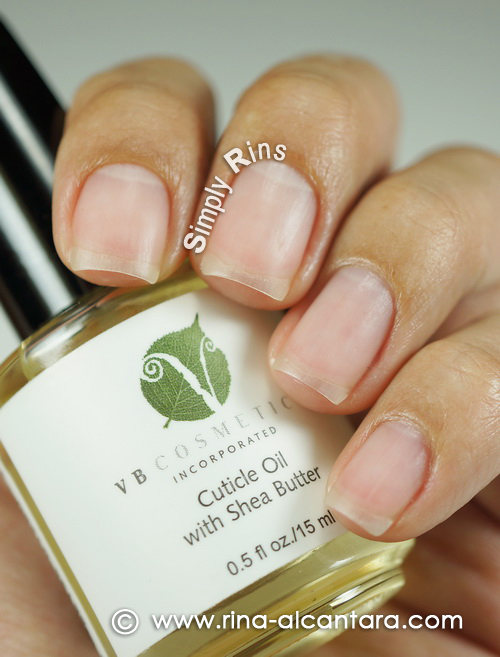 Are you also a fan of the VB Cosmetics Cuticle Oil with Shea Butter? The VB Cosmetics Cuticle Oil with Shea Butter is made available here in the Philippines through Dazzle Dry Philippines and retails for Php550 per bottle. For my international friends, you may purchase here. Just curious, does this also help with dry cuticles? Does this bottle last for a month?